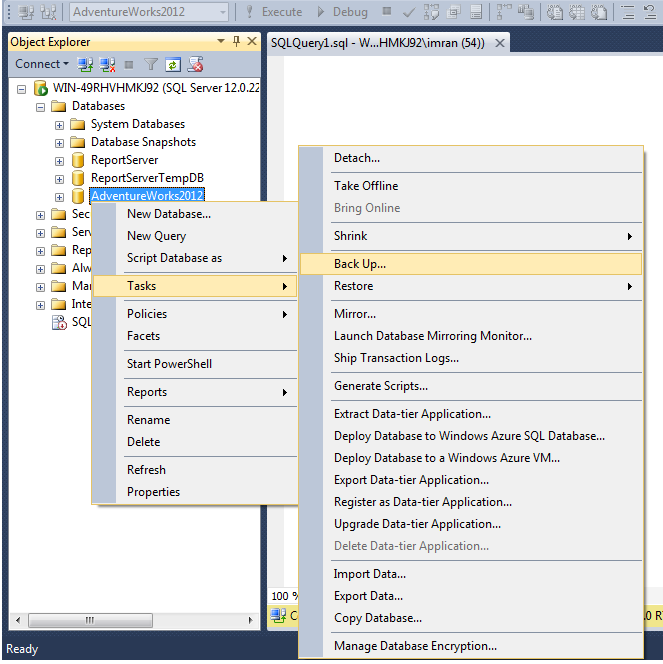 In my earlier article, I explained, how to RESTORE the backup from URL using T-SQL and it was quite simple & easy to understand. 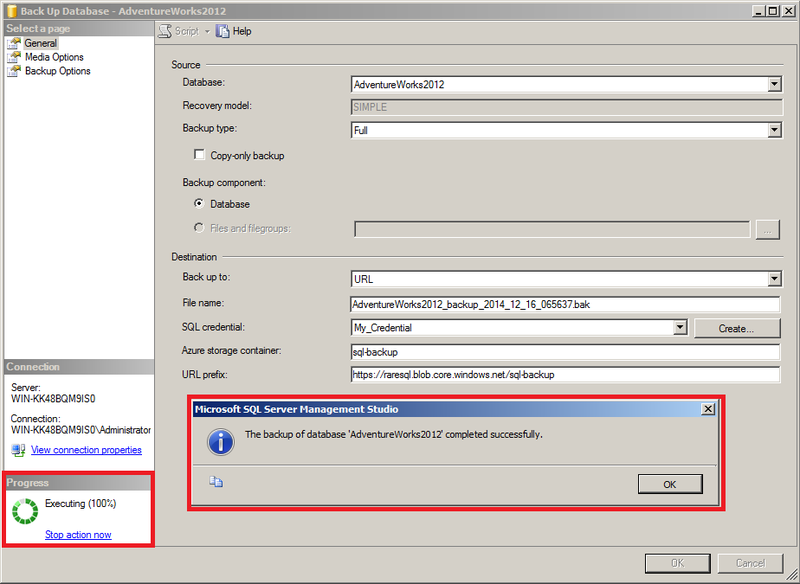 In this article, I will explain how to how to RESTORE the backup from URL using SQL Server Management Studio (SSMS). It would be the same configuration but with the different screens & steps. 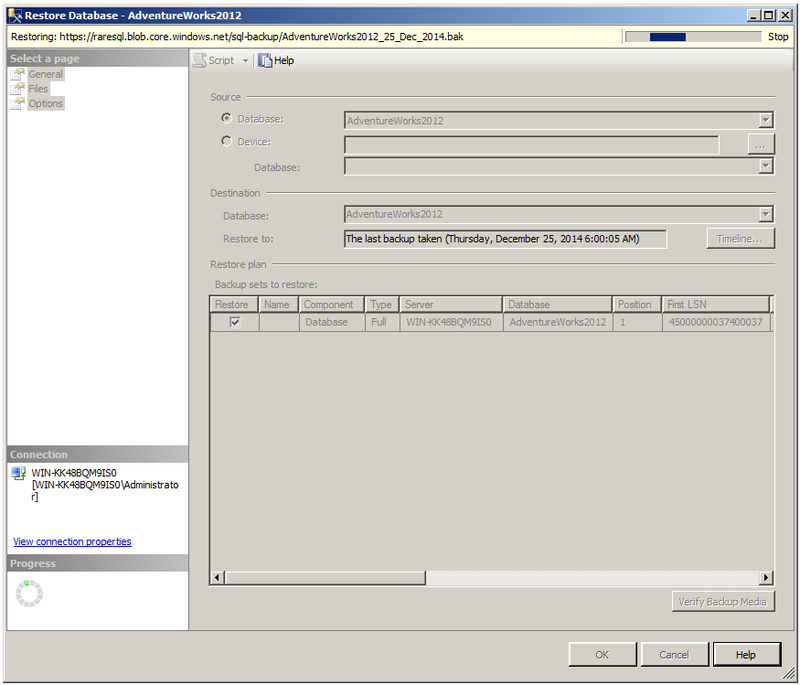 Let me now demonstrate in few easy steps how to RESTORE backup from URL. First of all you need to create a windows Azure account, a storage and a container as explained in this article. 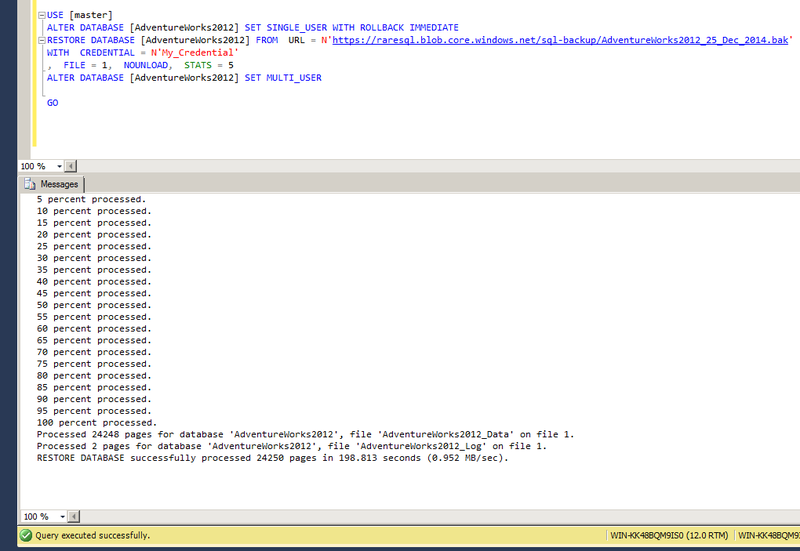 Once you have the details of Azure account, you need to create the credential using given below script. But if you notice, this script requires two parameters namely IDENTITY & SECRET. So how will I get them? Actually IDENTITY is the storage name that we created in the Pre-Requisite article -1 (Step 4) namely ‘raresql‘ and SECRET is the primary access key that we also picked up in the Pre-Requisite article -1 (Step 5). 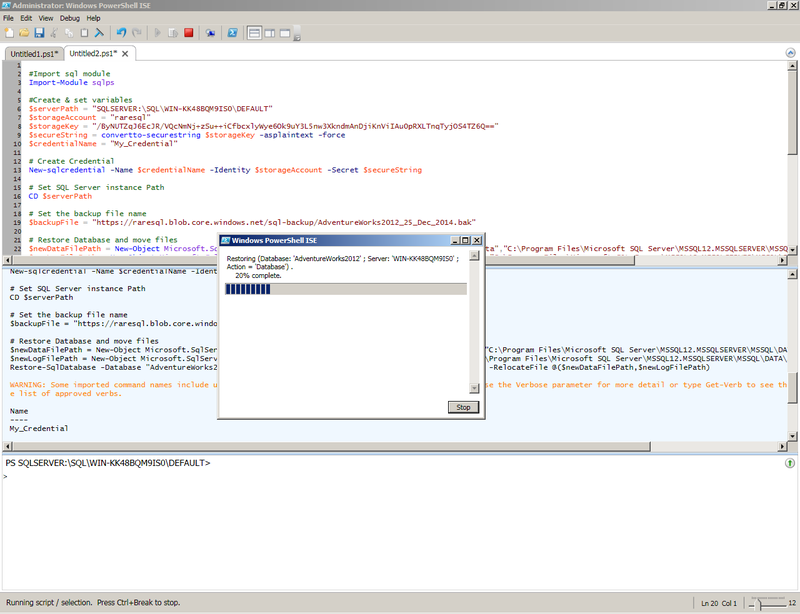 Lets create a credential. 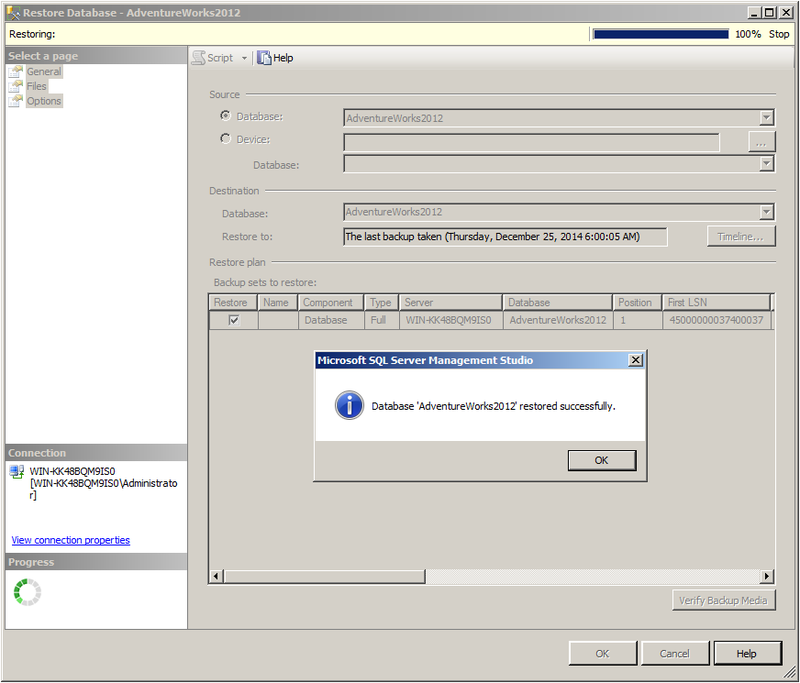 Note: Please skip this step if you have already created the credentials. 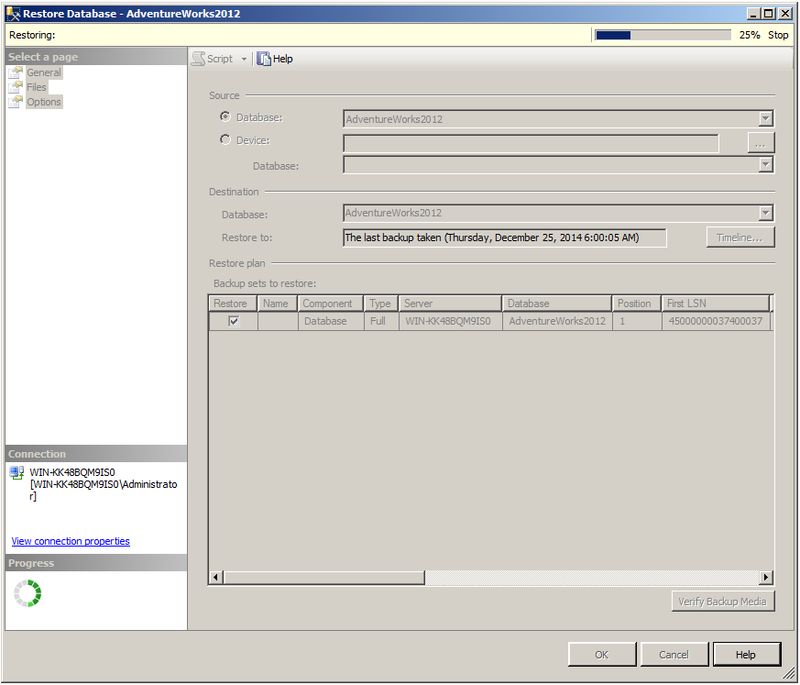 Once you created the credentials, the next step is to right click on the particular database you want to restore the back up and select tasks, further you need to select Restore and Database … as shown below. 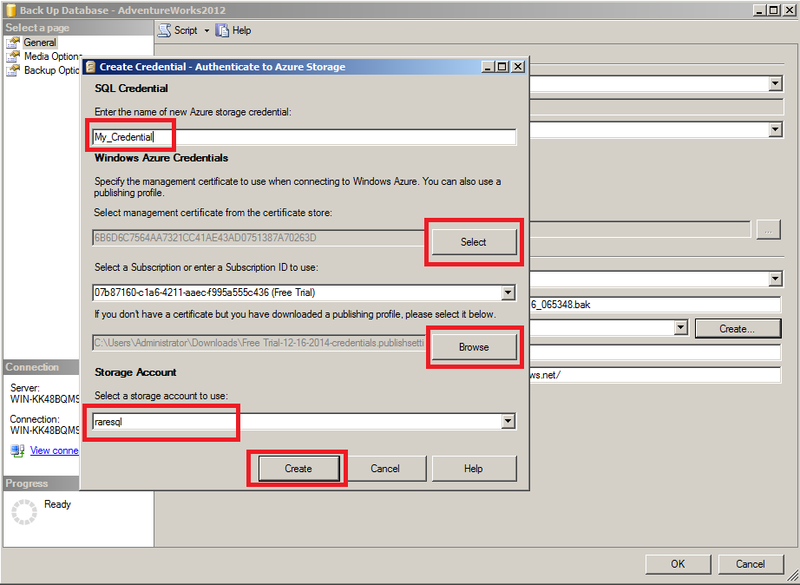 Now, SSMS opened the Connect Windows Azure Storage dialogue box, here you need to enter storage account (Pre-Requisite article -1 (Step 4)), account key (Pre-Requisite article -1 (Step 5)) & select / create the credentials. As we have already created the credentials in the above step, we will just select the credentials and click on Connect button as shown below. Once you click on the Connect button, it will authenticate your account with Azure, once it will be authenticated, it will open the restore dialogue box and shows your back up. Now, you can select the back and restore it as shown below. The Louvre Museum has 8.5 million visitors per year. This blog was viewed about 370,000 times in 2014. If it were an exhibit at the Louvre Museum, it would take about 16 days for that many people to see it. 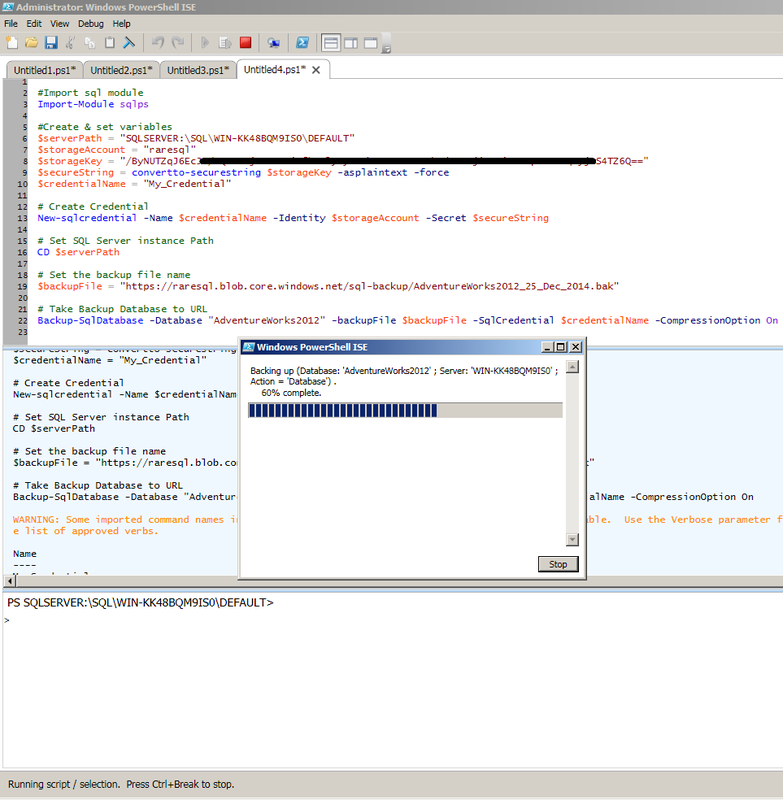 In my earlier articles, I explained, how to take SQL Server backup to URL using T-SQL, SQL Server Management Studio (SSMS) & PowerShell. 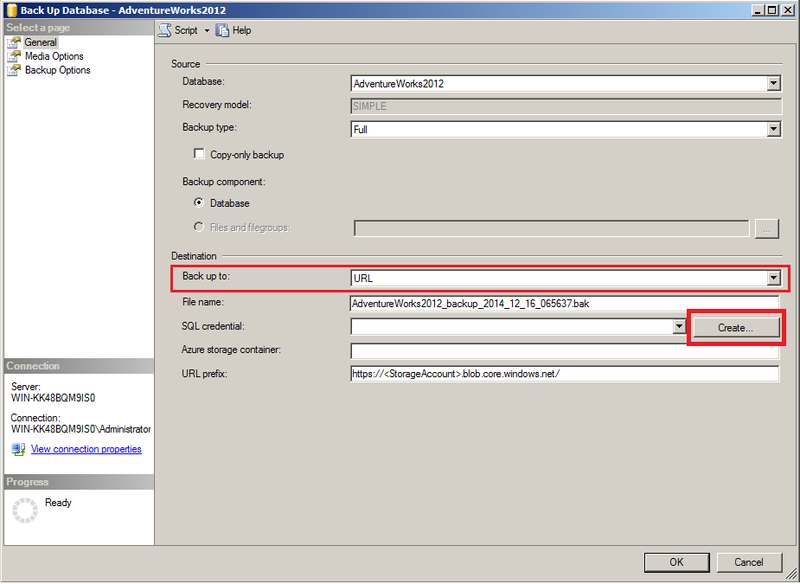 In this article, I will explain how to RESTORE the backup from URL using T-SQL. Once you have the details, you need to create the credential using given below script. But if you notice, this script requires two parameters namely IDENTITY & SECRET. So how will I get them? Actually IDENTITY is the storage name that we created in the Pre-Requisite article -1 (Step 4) namely ‘raresql‘ and SECRET is the primary access key that we also picked up in the Pre-Requisite article -1 (Step 5). Lets create a credential. 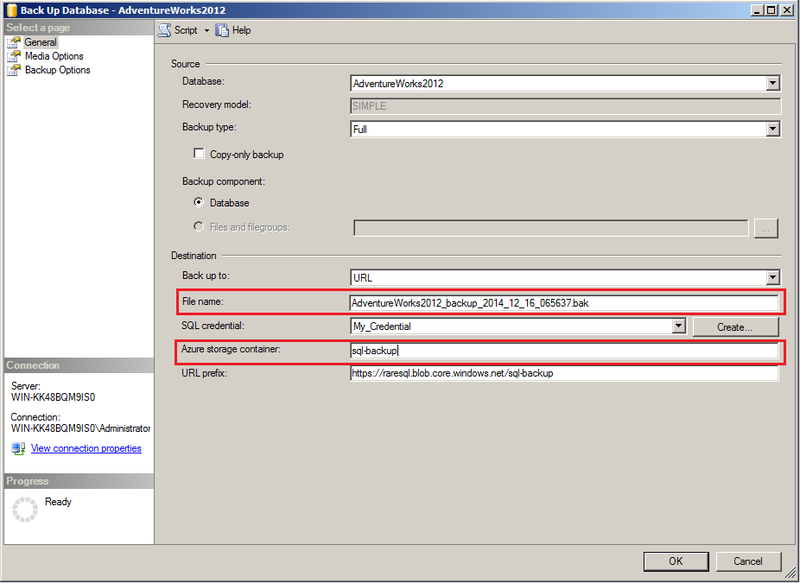 Once you created the credential, lets RESTORE the backup on URL using given below script, which requires two parameters, one is credential that we created in the above step and the second is the URL of the backup that we created in the Pre-Requisite article -2 (Step 3). 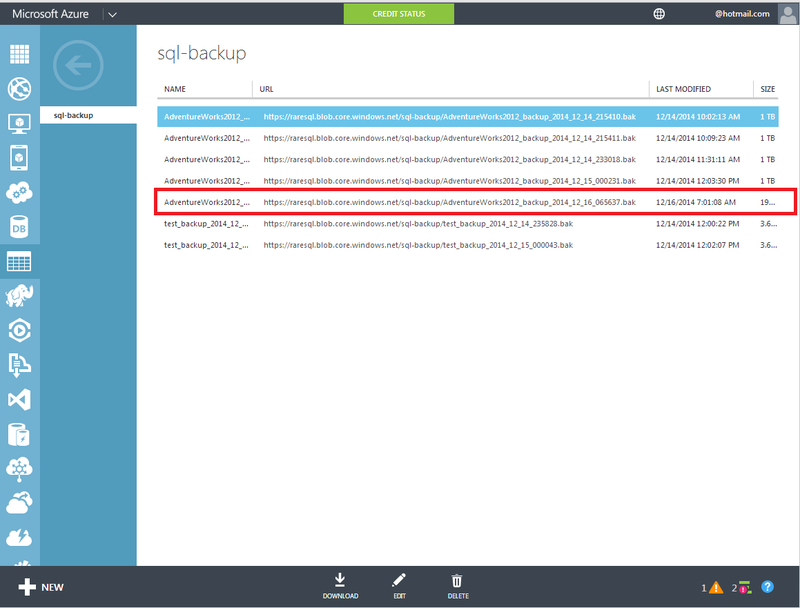 Note: Before proceeding with the Backup restore, kindly log in to your Azure account and verify the existence of the backup which URL you will mention in the below script. 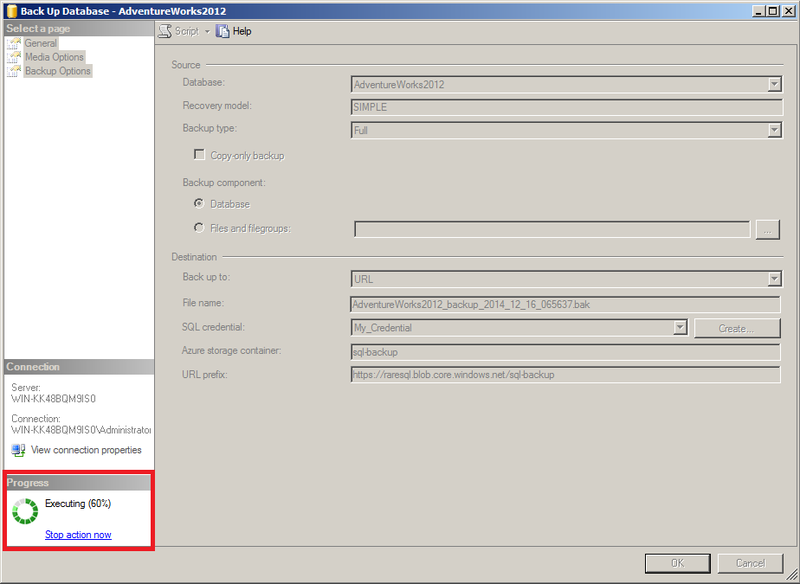 SQL Server backup to URL is a new feature shipped with SQL Server 2014. 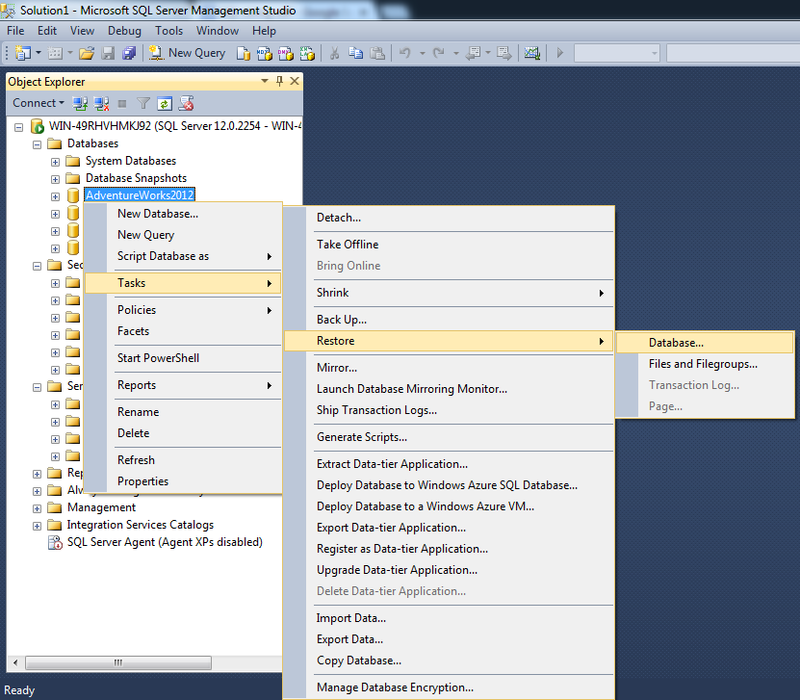 I explained how to take backup via SSMS (SQL Server Management Studio) in my earlier article. 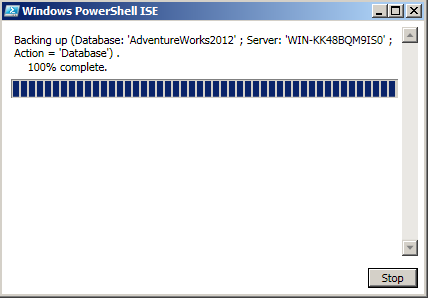 Today, I will demonstrate how to take SQL Server backup to URL via PowerShell. 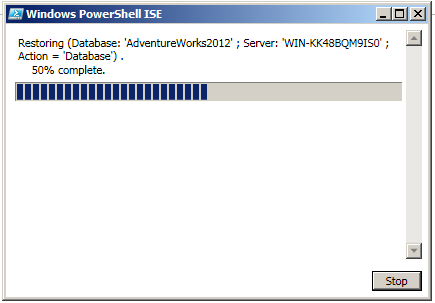 Let me now demonstrate in few easy steps how to take backup to URL via PowerShell. 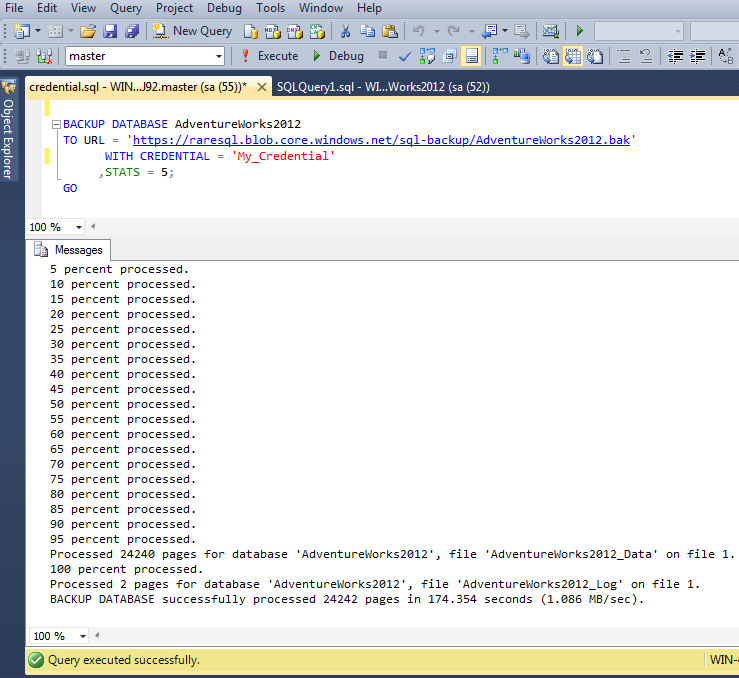 Once you created the the Azure account, a storage and container, you can take a backup on URL using given below script. In this script, first of all I declared the variables , then created credentials. After that take the backup as shown below. Rest of the script is self explanatory. 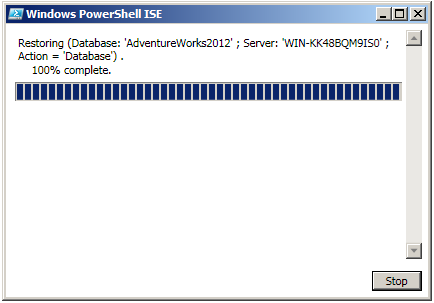 Make sure that you have downloaded PowerShell Extensions for SQL Server in case you are using Windows PowerShell ISE instead of Windows PowerShell. Lets go to the container inside the storage and check if the backup is available there or NOT because we saw the confirmation report in the above step. 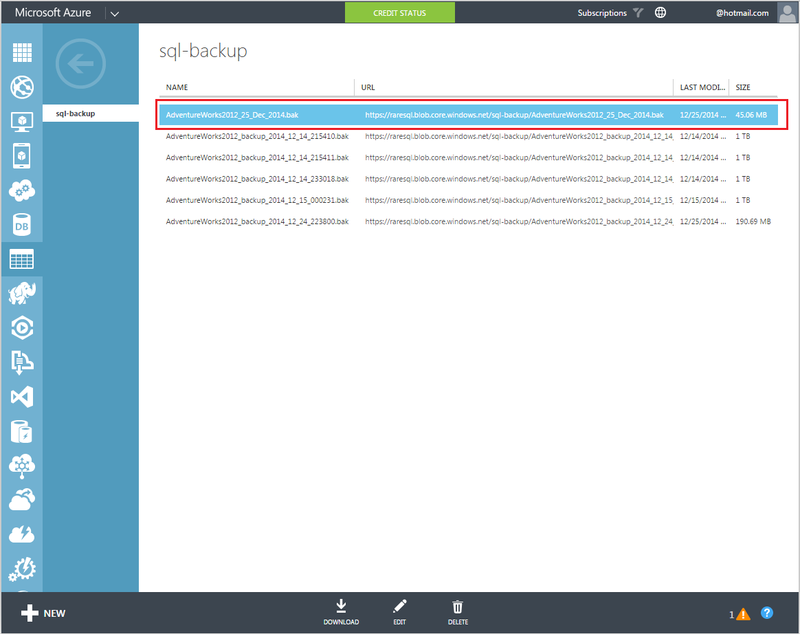 Now, you can see above that your backup is available on Azure, what you have taken in the above step. 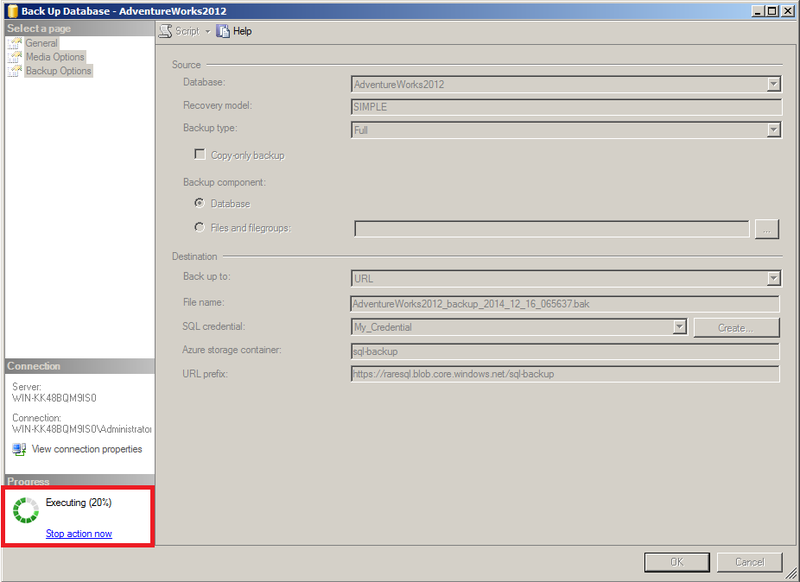 Let me now demonstrate in few easy steps how to take backup to URL. Once you have the details, you need to create the credential using given below script. But if you notice, this script requires two parameters namely IDENTITY & SECRET. So how will I get them? Actually IDENTITY is the storage name that we created in the previous article (Step 4) namely ‘raresql‘ and SECRET is the primary access key that we also picked up in the previous article (Step 5). Lets create a credential. Once you created the credential, lets take a backup on URL using given below script, which requires two parameters, one is credential that we created in the above step and the second is the URL that we created in the previous article (Step 10). Lets go to the container inside the storage and check if the backup is available there or NOT. Because, we saw the confirmation report in the above step. I am sure, you will be more than excited to try this solution, as this will eliminate your headache of maintaining the tape, its drives and last but not the least, its issues.